(W/A) Robert Crumb Cute little kittens, angels, and babies? Flowers, ice cream cones, and German boy bands? Coming from, supposedly, the creepiest and most pessimistic artist of his generation? 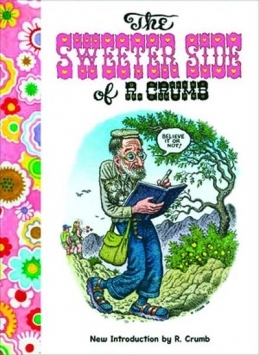 Yes indeed, there is a 'sweeter side' to R. Crumb. These delectable illustrations wonderfully exemplify the many tender moments that have, until now, played second fiddle to the cult icon's raunchier sketches.